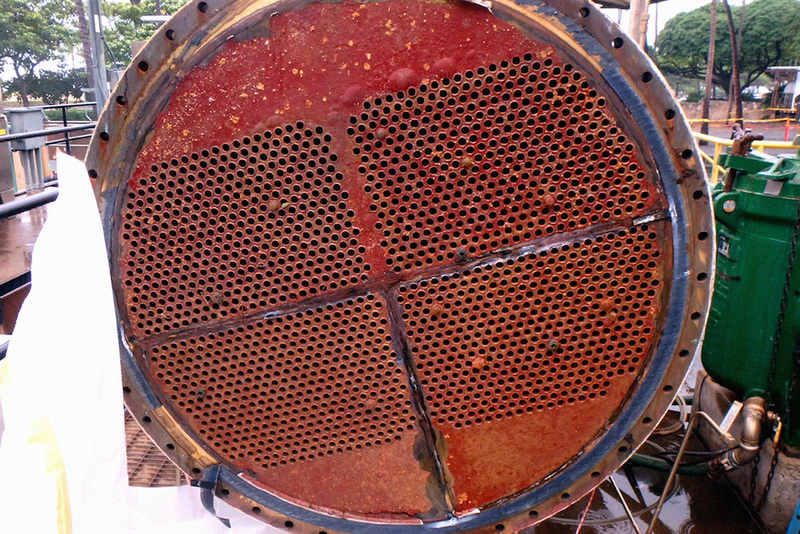 Corrosion results from chemical reactions that naturally occur externally and internally in heat exchangers. Corrosion involves the deterioration of metal tubing and components: according to NACE International, corrosion is “the destruction of a (metal) or its properties because of a reaction with its environment.” Corrosion ultimately causes severe damage to metals that can become very costly to repair. Shell-and-tube heat exchangers can suffer wall loss on both the inner (ID) and outer diameter (OD) surfaces to a degree of threatening the operation reliability of the heat exchanger. Tubes can often suffer corrosion on both ID and OD surfaces in the form of pitting corrosion. 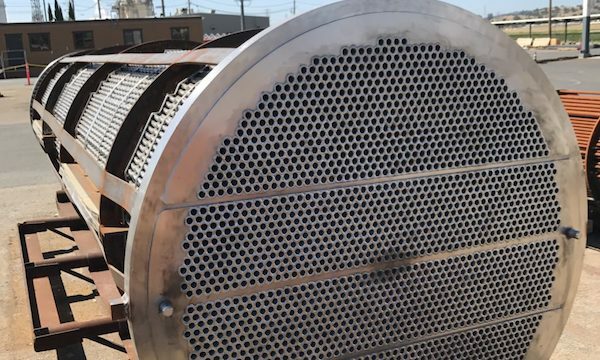 The most commonly-used method of corrosion prevention is through water monitoring, or by paying close attention to the substances that are used in accordance to the heat exchanger’s makeup. There are various coatings and epoxies; however, long-lasting prevention has not been fully accomplished due to issues with durability, an increased heat transfer coefficient, and high costs. 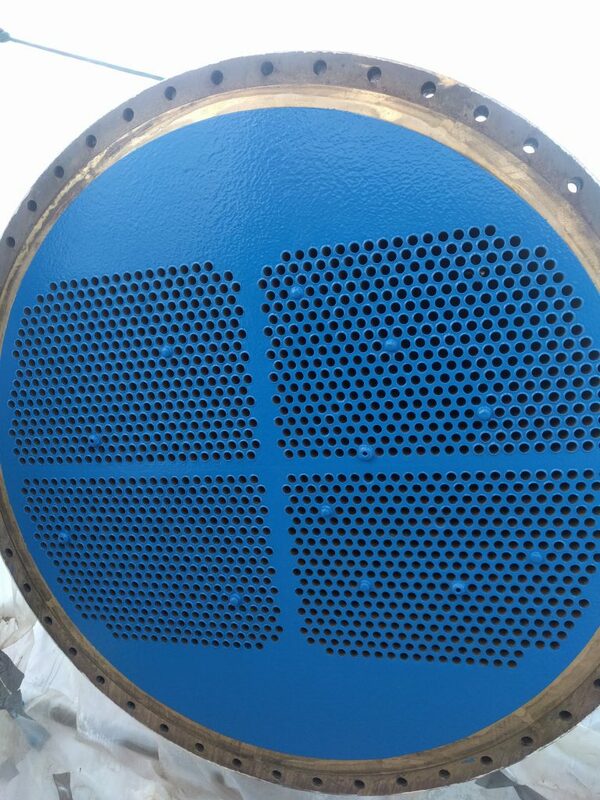 Experiments with adding zinc anodes to the heat exchanger bonnet have been tested, but due to the overwhelming amount of metal lost, zinc anodes need to be inspected regularly and replaced as required. HeatX has been demonstrated to significantly reduce the frequency of costly maintenance operations, and extend the overall “useful life” of assets. HeatX has been qualified to show corrosion resistance, abrasion resistance, and chemical compatibility with both water, hydrocarbon, and mixed phase conditions. The water based formulation can be flexibly applied to unprepared corroded surfaces and still achieve full performance. In addition, the overall thickness of the HeatX coating is less than 4 mil, and does not affect the overall heat transfer performance. Water-and-oil compatible coating material allows for use in mixed-phase and oleic systems. Resistant to abrasive wear due to particulate contaminants. Capable of surviving intake silt from unprocessed, unfiltered sea water. Long lasting chemical resistance and compatibility with water and hydrocarbon-based fluids.